What’s on the Menu? 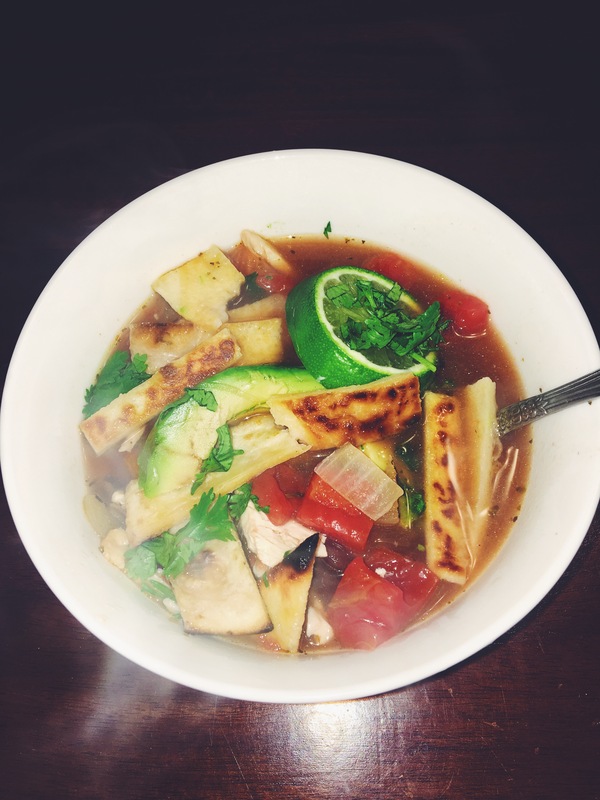 Chicken Tortilla Soup. Ingredients: shredded chicken, 1 avocado, grilled tortilla strips, 2 limes, 6 cups chicken broth, 1 can fire roasted diced tomatoes, 1 onion, 1 clove of garlic, 1 can black beans (drained), cheese, and cilantro. Add jalapeños if you want to make it spicy! Cook chicken seperatley and shred. Set aside. Stir all together and allow it to heat up. Grab a bowl and serve. Top with avocado slices, tortilla strips, and cheese and an extra lime wedge if wanted. Yes it is so easy! Thanks for reading. It is delicious! Try it out sometime I think you would really like it. This soup looks superb and I love all the ingredients that you have used. 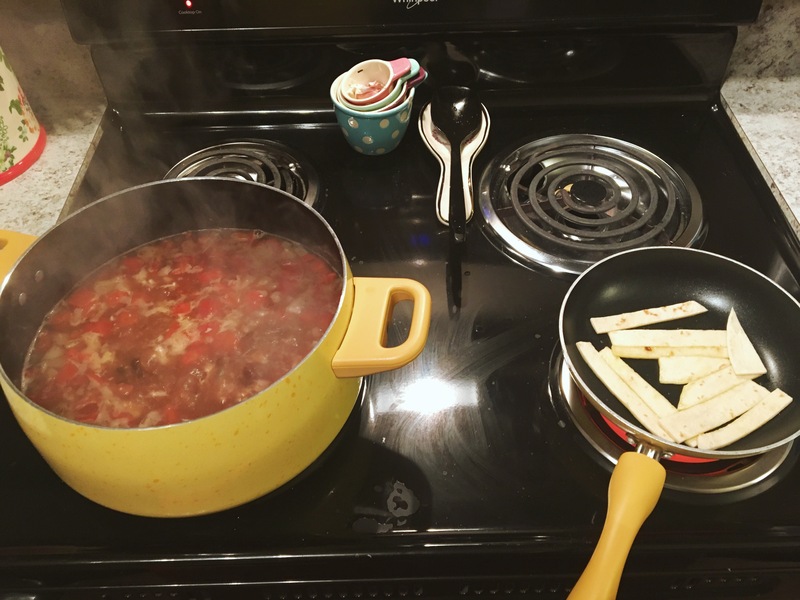 I have never eaten chicken tortilla soup before, but it seems nice. this looks so so yummy, I shall be trying this in the summer hols, thanks for sharing. Thanks for reading! I hope you enjoy as much as I did. I will let you know when I do it. Great post! It reminded me how much I love chicken tortilla soup! Brittney, Hey thank you so much! It really was!! You will not be sorry that you did. So good! This sounds really good and the recipe seems simple…which I like!! So simple! Thanks for reading. looks so yummy! love your measuring cups also! It looks….great. I think it is very yummy!! Thank you!! i am saving this recipe, i really needa start cooking more and love soups like this! It’s so fresh and yummy!!! Def recommend that you make it.